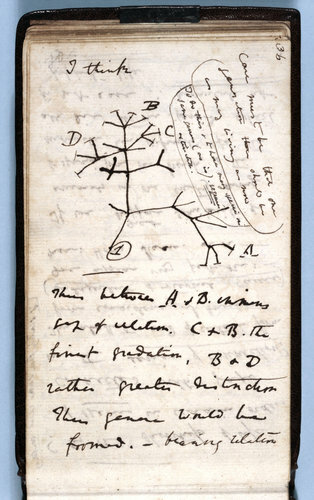 Two decades later Darwin presented a detailed account of the tree of life in “On the Origin of Species.” And much of evolutionary biology since then has been dedicated to illuminating parts of the tree. Using DNA, fossils and other clues, scientists have been able to work out the relationships of many groups of organisms, making rough sketches of the entire tree of life. “Animals and fungi are in one part of the tree, and plants are far away in another part,” said Laura A. Katz, an evolutionary biologist at Smith College. Now Dr. Katz and a number of other colleagues are doing something new. They are drawing a tree of life that includes every known species. A tree, in other words, with about two million branches. “I think it is an amazing step forward for our community if it can be pulled off,” said Robert P. Guralnick, an expert on evolutionary trees at the University of Colorado who is not part of the project. Until recently, a complete tree of life would have been inconceivable. To figure out how species are related to one another, scientists inspect each possible way they could be related. With each additional species, the total number of possible trees explodes. There are more possible trees for just 25 species than there are stars in the universe. Scientists have overcome this problem by developing computer programs that find the most likely relationship among species without having to consider every possible arrangement. With enough processing power, those computers can now analyze tens of thousands of species at a time. Yet these studies have thrown spotlights on only small portions of the tree of life. “Nobody has tried to put all these results together,” said the leader of the new effort, Karen Cranston, a biologist at the National Evolutionary Synthesis Center in Durham, N.C.
Last year, Dr. Cranston and other experts gathered at a meeting called by the National Science Foundation, where they came up with a plan for a single tree of life. On May 17, the National Science Foundation announced that it was awarding the team a three-year grant of $5.7 million. The first goal of the project, known as the Open Tree of Life, is to publish a draft by August 2013. For their raw material, the scientists will grab tens of thousands of evolutionary trees that are archived online. They will then graft the smaller trees into a single big one. These trees represent just a tiny fraction of all the known species on earth. The rest are classified in the old-fashioned Linnaean system, in which they are assigned to a genus, which is assigned to a family, which is assigned to a kingdom, and so on. Dr. Cranston and her colleagues will use that information to put them on the tree as well. All the species in a genus, for example, will belong to branches descending from the same common ancestor. The Linnaean system will give the tree only a rough picture of the true relationships among species. “Parts of it will be quite good, and parts will be quite bad,” Dr. Cranston said. She and her colleagues will then enlist the entire community of evolutionary biologists to make the tree more accurate. They will set up an Internet portal where scientists can upload new studies, which can then automatically be used to revise the entire tree. Even as the tree of life comes into sharper focus, it will continue to grow. Each year scientists publish descriptions of 17,000 new species. How many species there are left to discover is an open question; last year a team of scientists estimated the total to be 8.7 million, although others think it could easily be 10 times that many. When scientists publish the details of a new species, they typically compare it with known species to determine its closest relatives. They will be able to upload this new information into the Open Tree of Life. Scientists who extract DNA from the environment from previously unknown species will be able to add their information as well. The most familiar species, those of animals and plants, will take up only a tiny part of the tree. “Most biodiversity on earth is microbial,” said Dr. Katz, the biologist at Smith. Microbes also pose a special challenge. The branches of the tree of life represent how organisms pass their genes to their descendants. But microbes also transfer genes among one another. Those transfers can join branches separated by billions of years of evolution. “In a lot of the tree of life, it’s not really treelike,” Dr. Cranston said. She and her colleagues are exploring how they can build their database to include these gene transfers, and how best to visualize them. “That’s an issue we intend to struggle with for the next three years,” Dr. Katz said. Luke Harmon, an evolutionary biologist at the University of Idaho who is not involved in the project, looks forward to using the tree to explore the history of life. One major question evolutionary biologists have long explored is why evolution runs at different speeds in different lineages. “We can use the tree to identify evolutionary ‘bangs’ and ‘whimpers’ through the history of life,” he said. It may also be possible to see how climate change has driven extinctions in the past, and to make predictions for the future.